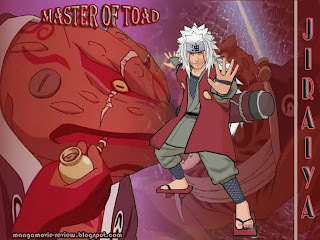 The Perverted Hermit or Master of Toad or One of Legendary Sannin "Jiraiya" was incredible person, he has nice personality and funny. For the other person which was looking him for the first time would be thought that he couldn't do anything because he looked like a silly and stupid person. But when they knew the truely of him, they would be respect even sometime scarry of him. 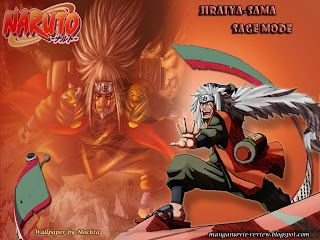 Everyone knew Jiraiya's power same with Hokage, but who will be thingking he would die. I'm really sad when Jiraiya has to die by Pain. There was no more The Perverted Hermit that always watch girls from behind a tree, but I'm sure his spirit still live in one child with name "Uzumaki Naruto". Jiraiya believed that someday Naruto would become a Hokage. He gave Naruto all abilities that he had. Just like what he did to Naruto's father. 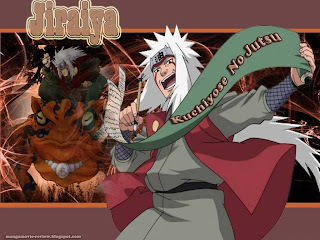 At the last breath of Jiraiya, he was thinking that dying this way would be honourable and that the book ‘Tale of the Gallant Jiraiya’ would have a great ending. He was also thinking about the title for his next book and it would be called ‘The Tale of Uzumaki Naruto‘. He thought that this was perfect. We all knew that he still was could smile even death in front of him. 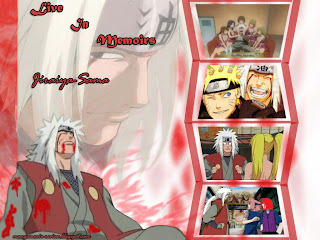 I hate to admit that we won’t be seeing him anymore, I just can say "Rest in Peace, We’ll love you forever Jiraiya". For Naruto, I have a little message "Don't ever make Jiraiya disappointed, make him proud, we also believed as same as Jiraiya believed that you will become the next Hokage someday". 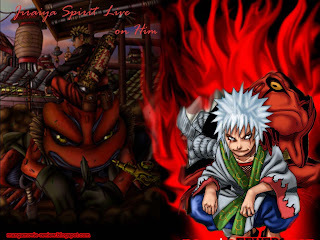 As my reward and respect for Jiraiya "The Perverted Hermit or Master of Toad or One of Legendary Sannin", I make all those wallpaper in order to remembering us to him. He was really a great man.